The need to develop the site quickly (we had three weeks) would interfere with doing a quality design. However, developing an effective, dynamic website would involve usability testing and assessment which would delay the deadline. Therefore, I proposed creating two versions of the website to meet the immediate, short-term goal as well as the long-term priorities. 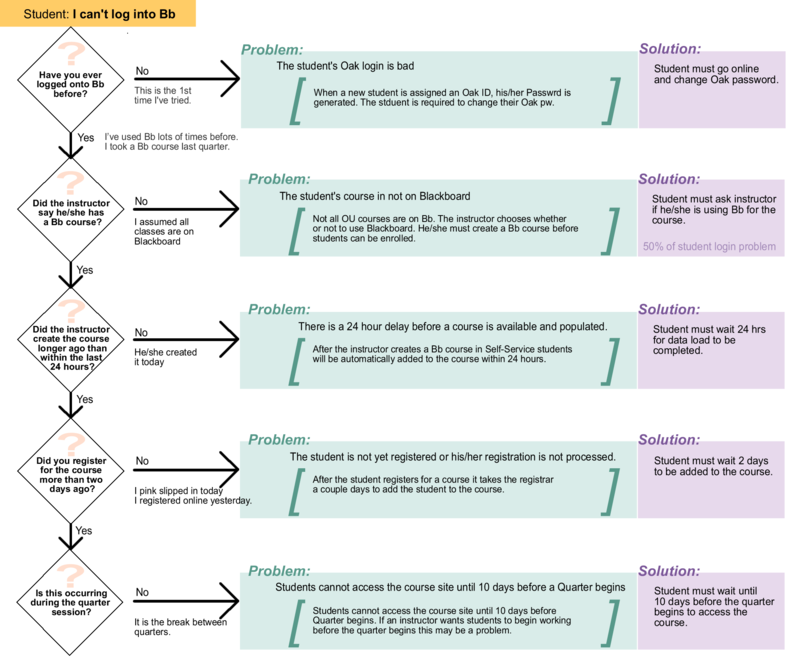 ABOUT THE PROCESS: In order to identify users’ needs we analyzed the help logs from phone calls and consultations with users having specific problems using Blackboard. 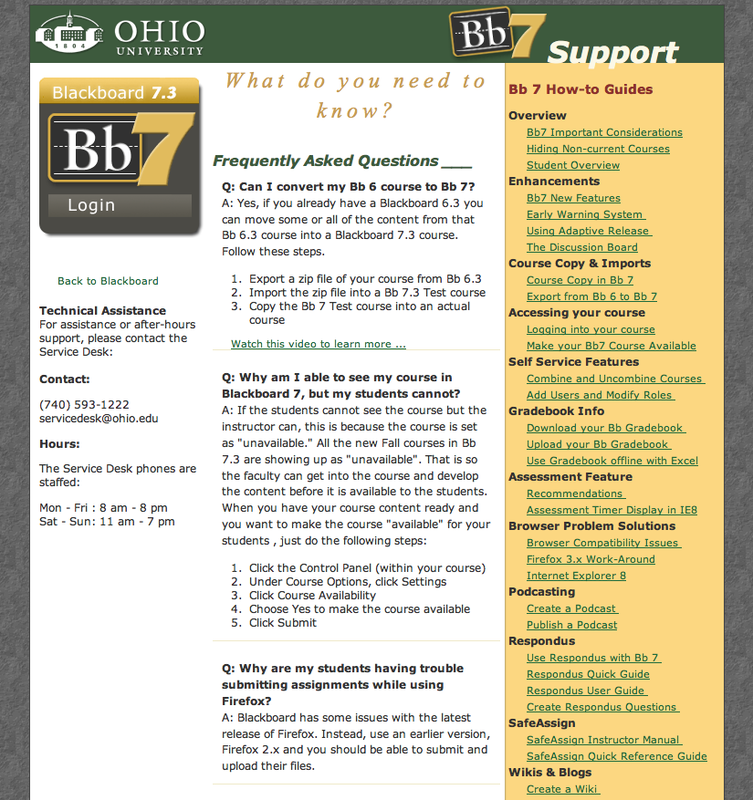 The most comprehensive information we had to give us a snapshot of our Bb users’ needs was contained in the phone calls to the Help Desk/ CITL. 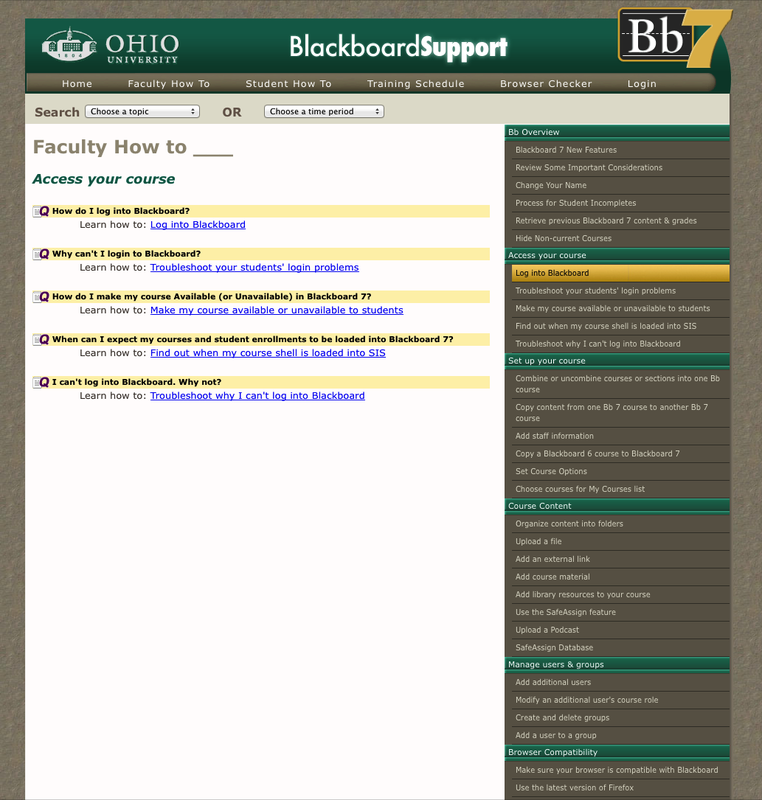 A team consisting of Joy Bi, Andy Kranyik, and Mike Roy acquired the telephone logs of all calls from faculty and students who were experiencing trouble using Blackboard. 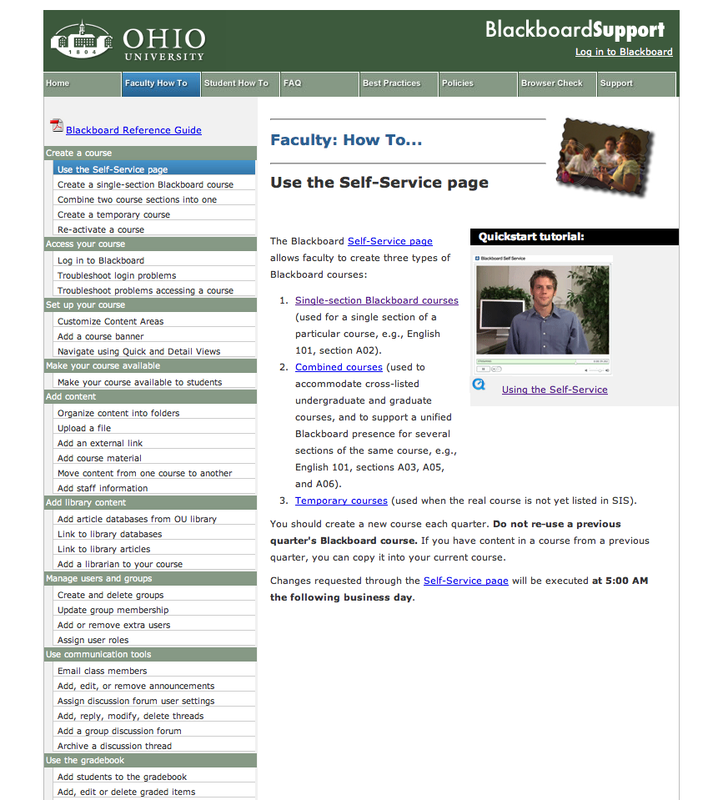 These phone logs were documented by the CNS Help Desk staff, and Joy Bi, CITL Blackboard Support contact. 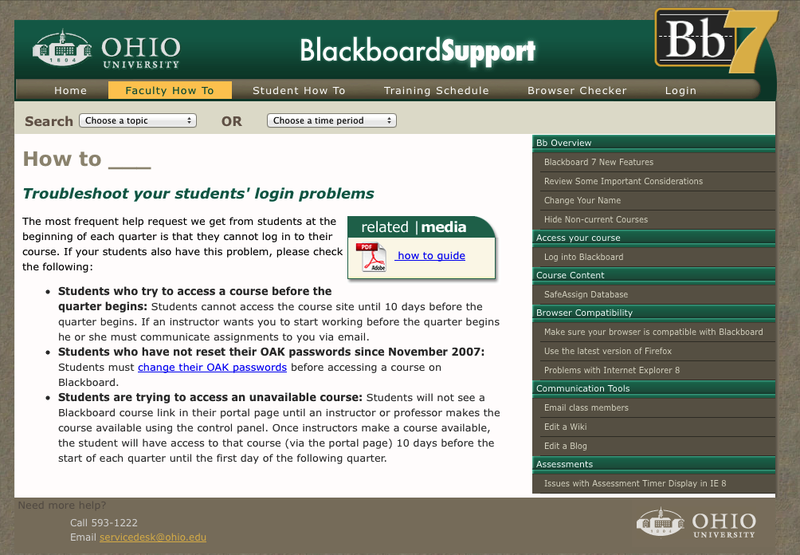 Problems using OU Bb Self Service application – 39%. Why are people coming to the site? Which information is most important to our customers? How will people find this information? What are the users’ trigger words? Where are they likely to look for those words? Since our content would not remain static and must continuously respond to the current needs of our customers, all content would need to be delivered from a relative database. Each entry would include meta-data such as the following: keywords, categories, cross-references, seasonal relevance, number of views, date-created stamp, media formats available, etc. 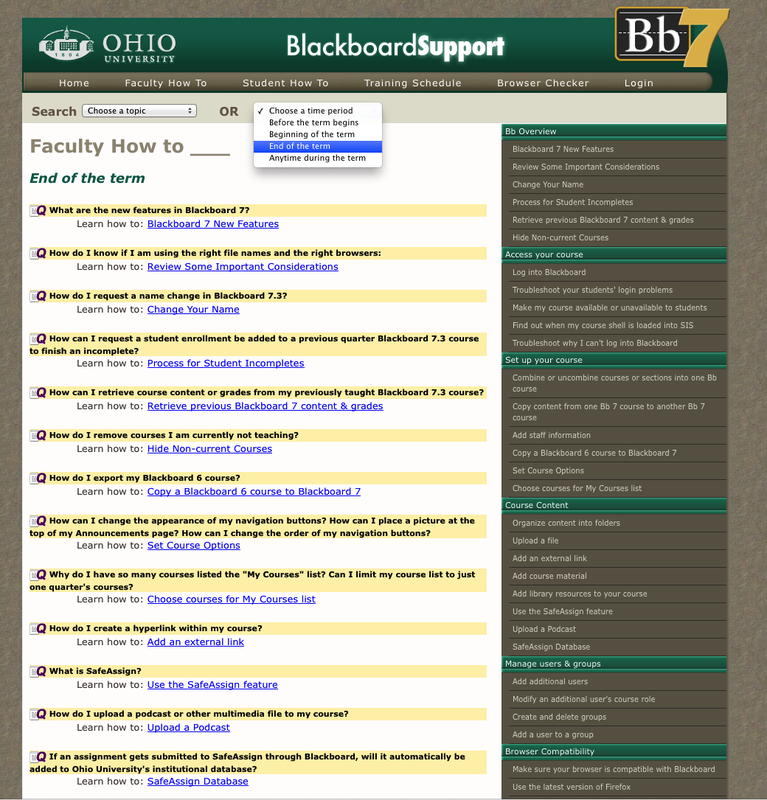 We created several iterations of the Bb support page as Ohio University upgraded from Blackboard 6.3 to 7.3 and then 9.1. The support site was highly effective throughout all of these changes and upgrades. 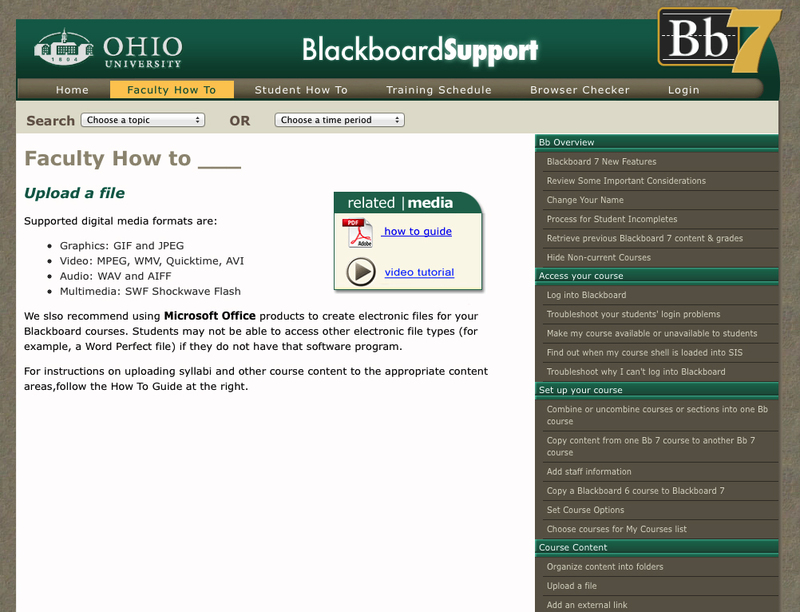 I also developed a back-end administration page that allowed the Blackboard support team to manage the webpage content without needing to know any web programming. I captured “live” search data from end-users which allowed the help desk staff better understand what issues were causing the greatest confusion. 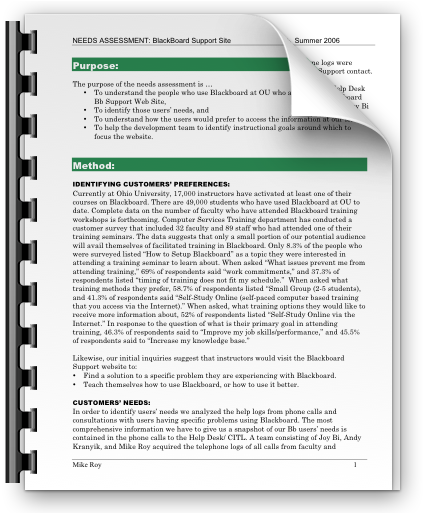 This allowed them to concentrate their time and efforts more effectively by targeting actual user needs as they developed how-to and video tutorial documents. TOOLS USED: We used Cold Fusion to build the site employing Fusebox methodology.